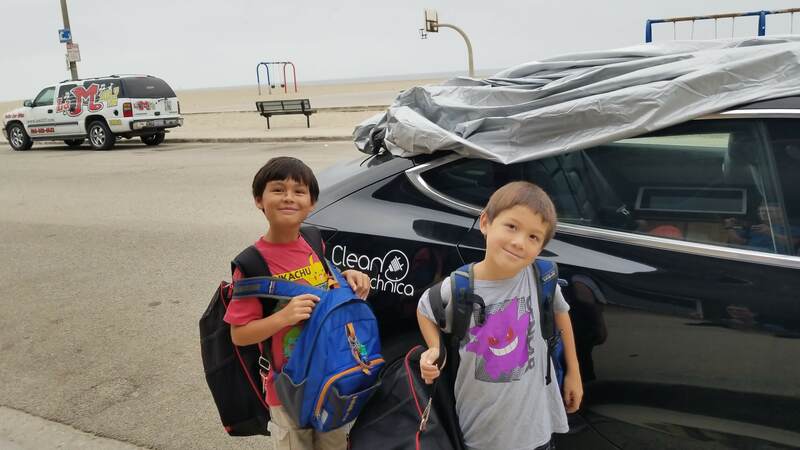 Update #2: Our best, newest, freshest TCO report is here: Toyota Camry & Honda Accord Buyers, Don’t Assume Tesla Model 3 Is Beyond Your Budget. See updated estimate with more accurate figures: Sorry, Elon — I Overestimated The Costs Of The Tesla Model 3. 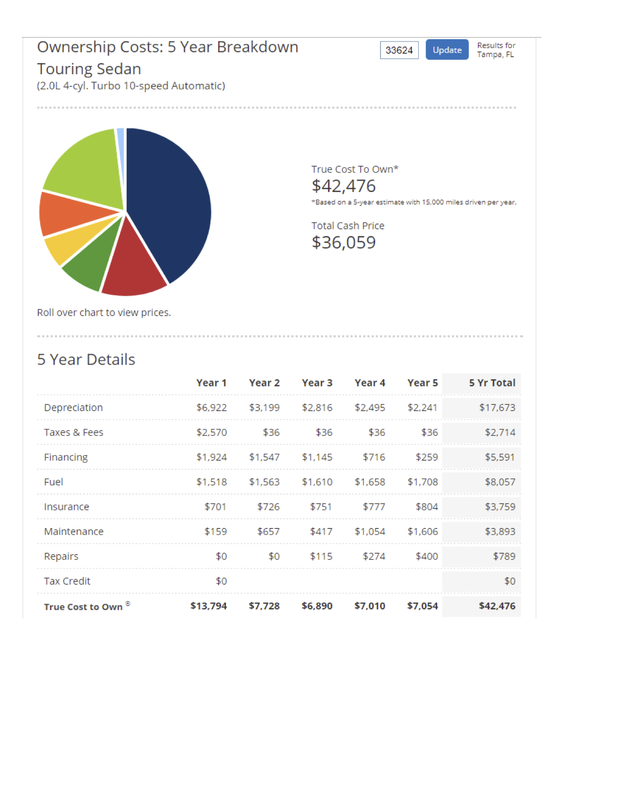 For another article I am writing on how to make my friends want a Tesla Model 3, I needed a good tool for estimating vehicle total cost of ownership (TCO), something that I could easily use to compare any cars out there. I didn’t want to develop all my numbers from my own experience, since then I would have to research every other car that someone wanted to compare it to. 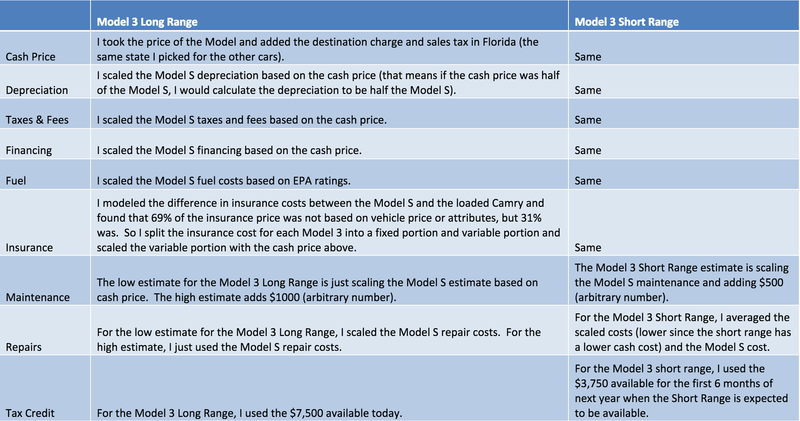 I tried to find a TCO calculation for the Tesla Model 3 at both Kelly Blue Book and Edmunds. Neither has published data on the Model 3, even though the car has been out for over a year. 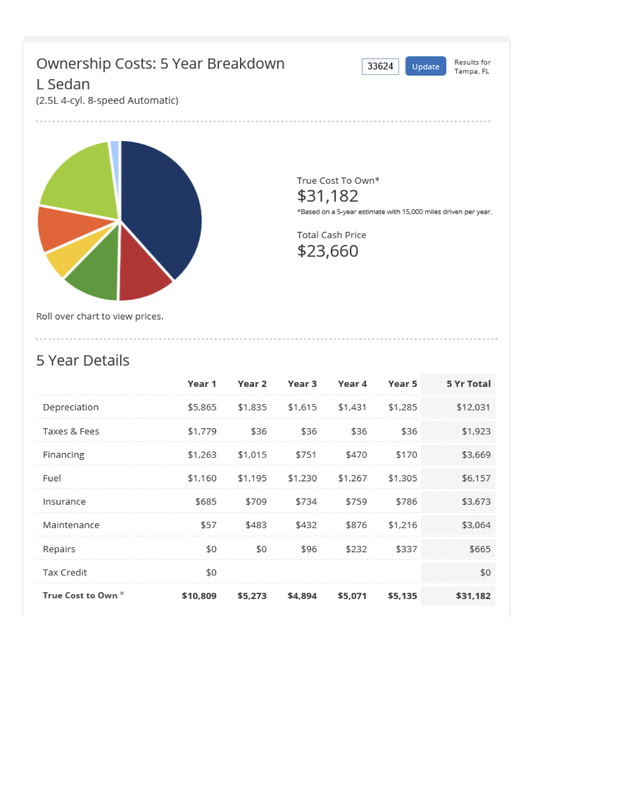 Luckily, Edmunds has published data on the Model S and I knew that I could use my math skills to estimate the total cost of ownership for 5 years by adjusting the Model S figures. What is powerful about this method is that I can now compare it to the thousands of new and used cars in the Edmunds database. What did I find? You can drive a Model 3 for the about the price of a loaded Camry! Most people think you have to wait for the $35,000 model for the Model 3 to be comparable to a nice Camry, but the calculations show that the tax credit and fuel savings make the Model 3 very competitive today! Most people see the upfront cost of the Model 3 (which is very comparable with a BMW 3 series) and assume the cost of ownership is also similar. They are wrong. This analysis shows that the cost of ownership of the Model 3 today is about 40% below the comparably priced BMW 3 Series! Update: Based on reader feedback, we’ve lowered the Model 3 Standard Range insurance rate from $5,814 to $4,006. 1. The base Camry’s low cost means low depreciation, taxes and fees, and financing costs. 2. The base Camry gets pretty good fuel economy, narrowing the gap with the 3. 3. The Model 3 standard range isn’t available till next year, so it will get a reduced $3,750 tax credit. 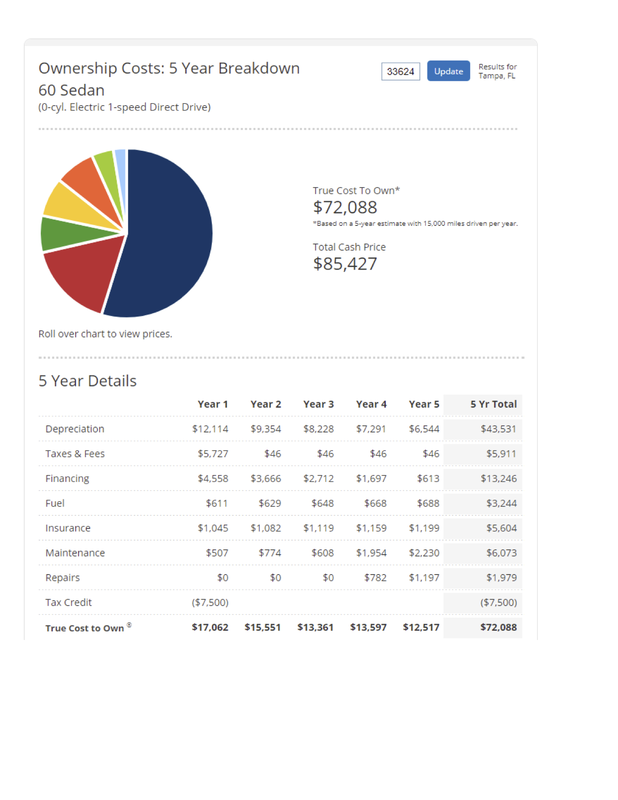 Pull up your favorite new or used car in the calculator and see how much a Model 3 would save or cost you! To see more details of the models I used, click the following reports for the Honda Accord, BMW 3 Series, loaded Toyota Camry, base Toyota Camry, and Tesla Model S.